You ever listen to a record and “feel” the fun that was had in making it? I heard rumors of this band and have been patiently awaiting their debut release. 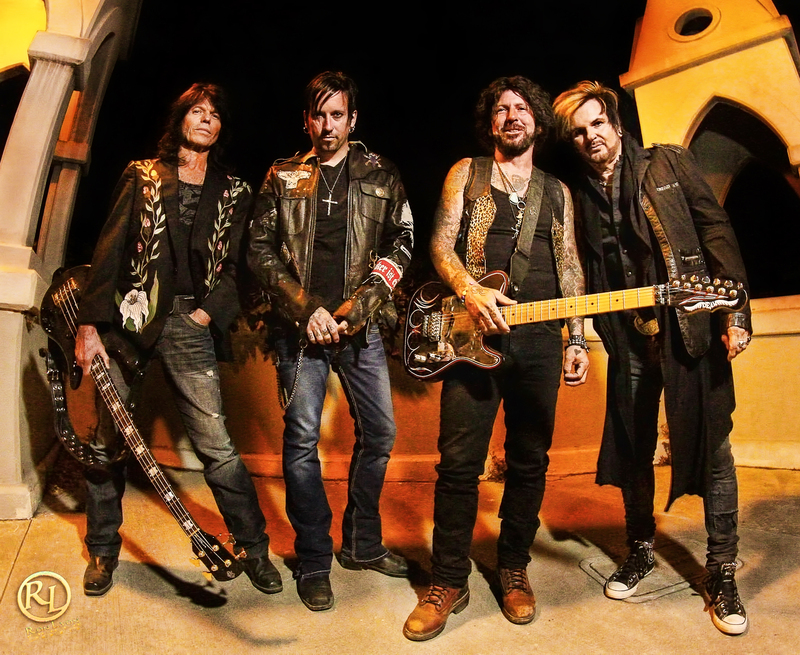 I am fortunate and have the opportunities to have spoken with Rikki Rockett, Tracii Guns, and Rudy Sarzo (Rudy replaced previous bassist Eric Brittingham) during the past several years so I know of their enthusiasm and passion for music. I have been listening to this record for a while now and find myself returning to it again and again. Let’s get one thing straight right out of the gates: there is no trace of L.A. Guns, Poison, Cinderella, or Quiet Riot on this record. It’s just good old fun Rock n’ Roll! I received this record at work and was a captive audience for it on my 90 minute drive home. From the opening notes of “Numb” to the closing of “Bad Decisions” it grabs you and makes you feel like you were actually sitting in the studio having a good time while they were recording. It seems to me that more and more “seasoned ” artists are getting back to their roots and getting involved with these kind of projects. Rikki Rockett’s drumming shines throughout this project. Many people seem to have written Rikki off because of his work in Poison. He is really a heavy hitter and very talented. I have been a Tracii Guns fan since forever and he steps outside of his normal playing and brings us some solid feel good riffs here. While Rudy Sarzo has taken over bass duties Eric Brittingham was the one who laid down the heavy groove this record brings. Brandon Gibbs is unknown to many but brings a style that fits the vibe of Devil City Angels to a T.
The track listing is as follows and I can’s recommend any one track above any other because this is a whole package that should be enjoyed in its totality. So grab this record, your best girl/guy, your friends, the car keys, and just drive around and listen. 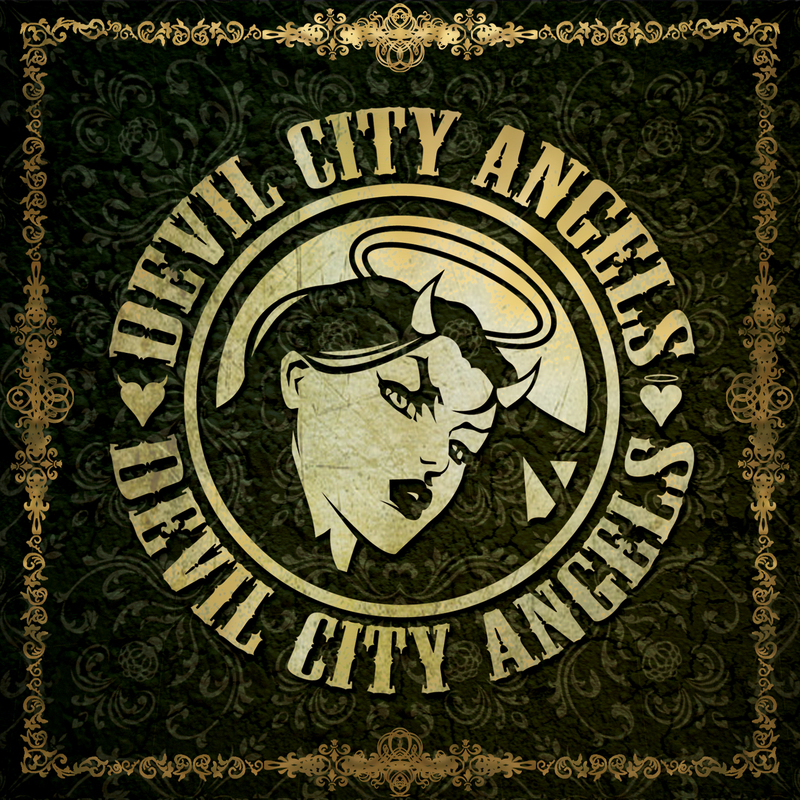 it’s loud, it’s dirty, it’s DEVIL CITY ANGELS!!! This entry was posted in Artist, Bassists, Blues, Classic Metal, Classic Rock, Drummer, Glam, Guitarists, Heavy metal, Internet Radio, Legends, Metal, Music, Rock, Rock N' Roll, RockStar, Sleaze, Surrealist, Tattoos, Vocalist, Whiskey Metal, Words, Wornstar Clothing and tagged 70's, 80's, Adrenaline PR, Brandon Gibbs, Century Media Records, Classic Rock, Devil City Angels, Eric Brittingham, Glam, Glam Rock, Hard Rock, Heavy Metal, Metal, Music, Rikki Rockett, Rock, Rock N' Roll, Rock Star, RockStar, Rudy Sarzo, the Hellion, the Hellion Rocks, Tracii Guns. Bookmark the permalink. ← WHAT THE F@#K PEOPLE!! !